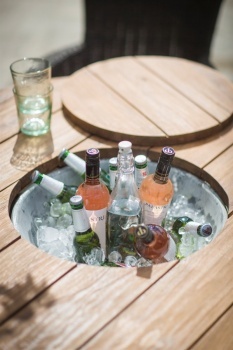 Following the success of our other items in the St Mawes' range, we thought that we would add to our chic outdoor entertaining furniture to bring you the St Mawes Round Drinks Planter Table. 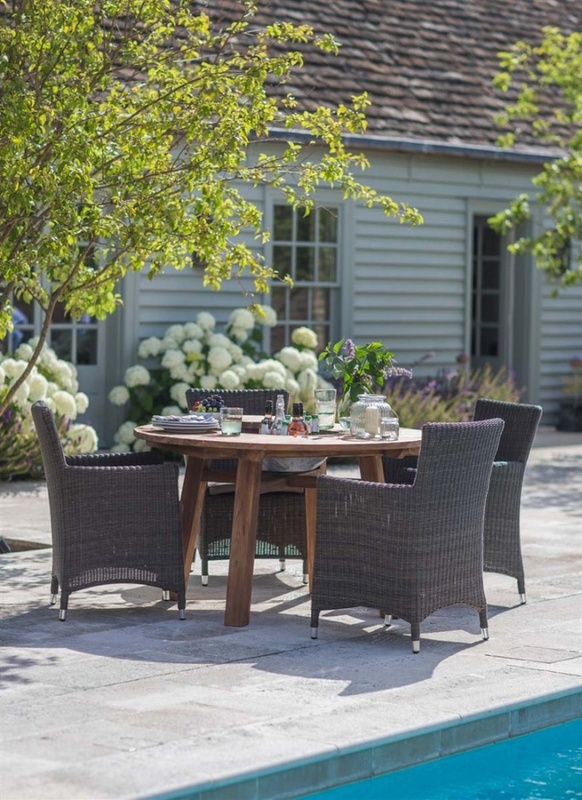 The perfect choice when it comes to outdoor entertaining, this round dining table is crafted from chunky reclaimed teak. Adding to its uber stylish raw finish and weathered appearance is an integral galvanised metal ice bowl in its centre - perfect for serving and storing drinks whilst entertaining. Versatile as well as stylish, the round bowl could be used to create a stunning floral display as this dining table's centrepiece or planted up with spring bulbs for a touch of colour. Seating between 4-6 people comfortably, the St Mawes Round Drinks Planter Table works wonderfully with our Chilgrove or Chastleton chairs. 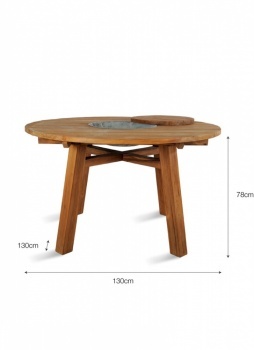 Built to last, this is a table that will transform your outdoor space, be it a patio or terrace.